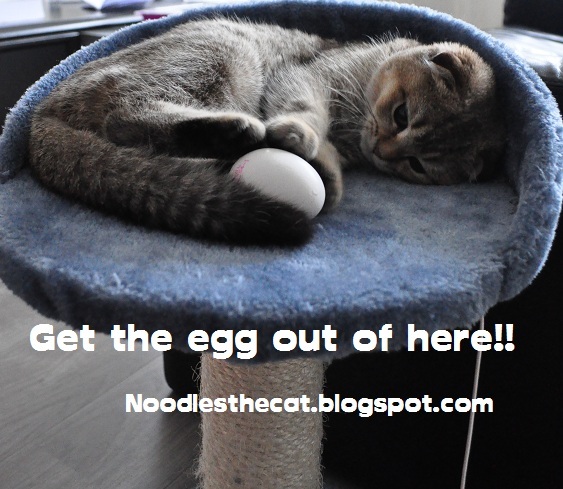 I IZ NOODLES THE CAT: Get the egg out of here!! Get the egg out of here!! Forget it Humanz!! I don't know what you iz trying, but let me dream about birdies and bunnies.